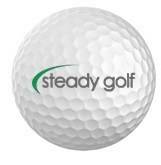 Thank you to everyone who played in yesterdays Sunday Stableford. These will continue to run as non-qualifying competitions throughout the winter months. There were three 2's which were worth £2.33 each.